What are Canadian uranium stocks? Canadian uranium stocks are shares in companies that explore for, mine, and process uranium. Canadian uranium miners face a lot of regulations because of the radioactive properties of uranium. One key recommendation when it comes to uranium stocks is that we like to see an experienced management team involved with the company. We like to see teams that have a history of mine development and have financed similar projects in the past. To lower your risk, we continue to recommend that Canadian uranium stocks make up only a limited portion of your portfolio’s resource segment. 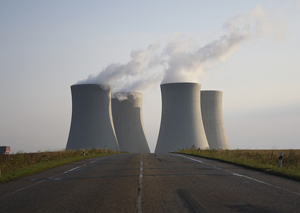 The demand for uranium will likely increase longer term but it will take a keen investment eye to find the most profitable uranium stocks to invest in. Uranium prices have jumped from around $40 U.S. a pound in March 2010 to a recent high of around $58.50. That’s still well below uranium’s peak of $140 a pound in 2007. But conditions look favourable for higher long-term uranium demand.